Don't buy Hotspot Shield if you're going China. If you need a VPN to break the Great Firewall of China you should check out ExpressVPN. During the Arab Spring protest in Egypt, Tunisia, and Libya, Hotspot Shield was the VPN service more users relied on. Their success in helping users bypass government censorship has helped grow Hotspot Shield’s membership to well over 500 million users. Hotspot Shield still strives to bring uninhibited access to the world, allowing users to bypass unfair censorship practices their government may enforce. 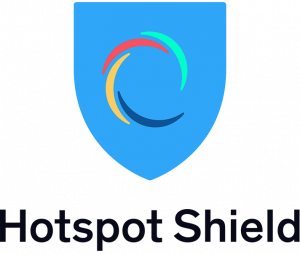 Hotspot Shield began in 2005 when AnchorFree saw a need for a secure VPN service for their users. While the company is out of Silicon Valley in the United States, they operate in 27 countries including China. They specialize in maintaining customer anonymity by keeping no-logs of user activity. They even allow you to sign up with gift cards, so you don’t have to reveal your identity during signup. With military-grade AES 256-bit encryption, Hotspot Shield protects user data from 3rd party hacking. Their kill switch option ensures constant protection as it severs internet connection whenever the VPN connection drops. Elite customers also enjoy the ability to continue to stream US Netflix, although this option is not available in other virtual locations. With both free and paid subscriptions, users will find all the features they need to maintain adequate security. We ran several speed tests throughout the day to get the best results. We noticed that the virtual locations, as they prefer to call them, in our home country had the fastest results. While the home location server was fastest, it didn’t come close to matching our regular ISP speeds. Hotspot Shield has servers in 27 countries. However, we could not find a total server amount on their website. Support did tell us that the number varies from a few hundred to a few thousand without giving us a firm number.While we loved the fact that there are servers across the globe, we did find them a bit limiting. Not only can you not pick your specific server, only country location, if you are using a free account you can’t change servers at all. Only Elite accounts can switch between servers. By default, the virtual location upon login is the United States. There is limited information on what type of servers Hotspot Shield employs. We could not find if there were dedicated IP and P2P servers. We also could not see if there were Tor servers available. Signing up for Hotspot Shield was simple. You have different payment plans from which to choose. Once you sign up, navigate to your dashboard and select the download option. Then select the operating system for the device you want to use and install. Installation and setup took less than two minutes. 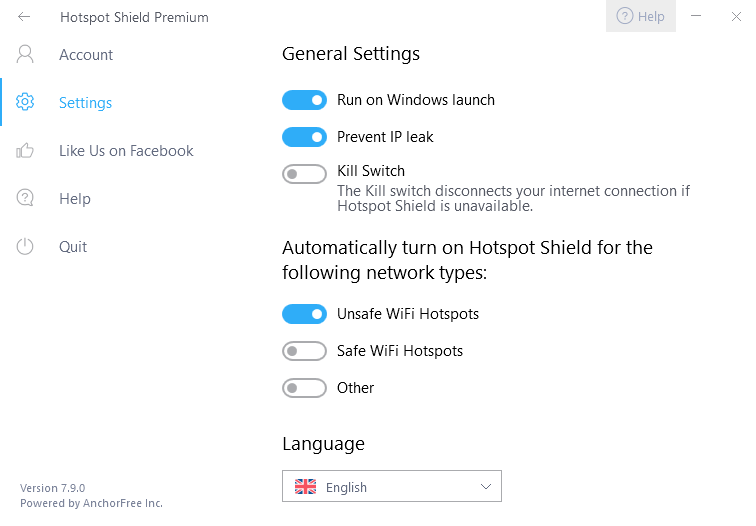 Hotspot Shield connects automatically to the closest server to your location. You can, however, change your virtual location manually by selecting the country you desire from the dropdown list. Countries known for blocking websites, changing your virtual location is the only way to unblock sites. You cannot choose which server in the country. Hotspot picks for you. When we turned on Hotspot Shield, we were already streaming Netflix. Since Hotspot Shield automatically connected to servers in our country, Netflix continued to stream without issue. However, when we tried to use Hulu, we experienced an error. Switching Hotspot Shield to a different country lost us Netflix access. You must have a premium account to stream Netflix, and it only works with the virtual US location selected. There isn’t much configuration to Hotspot Shield, which is suitable for those who aren’t technically savvy. You can turn on/off automatic startup and turn on the kill switch option. Other than these few settings, there is not a lot to personalize. There is no live chat option, which is a preferred mode of communication for many customers. However, there is an FAQ section where you can find answers to your questions. If you can’t find what you’re looking for, you can open a ticket. You can call their parent company Anchor Free, toll-free at 877-UNWIRE-1. Their office number is 408-744-1002, but they run on American hours, so you might have a problem if you are not located in the U.S.
You can also send them a private message on Facebook. They tend to reply to that within a few hours. However, the best way to contact them is through their ticketing system, although you will have to wait a few days for an answer. What we found unique about Hotspot Shield’s payment options where you could choose to pay the traditional way of credit card or PayPal account. However, if you have an unused gift card lying around, you can use that too. They take payment in the form of gift cards from over 100 retailers including Best Buy, Target, Wal-Mart, and Starbucks. The gift card method allows you to be 100% anonymous. There is a 45-day money back guarantee if you cancel. You do have to request the refund through the support center, and it may take a couple of days for them to issue the refund.